For stored goods, use packaging materials such as cartons, porta-robes, paper, tape and bubble wrap to maintain and protect your goods. We sell cartons and packing tape, for your convenience. Do not overfill cartons, as bulging cartons may tip or be difficult to stack. Heavy items should be packed in smaller cartons to make them easier to carry. Books should be flat packed, not on their spine. So you can find items easily while in storage, label each carton as you go, this also makes unpacking easier. Wrap fragile items individually in packing paper – avoid newspaper, it can be very messy. Paper or ribbed cardboard should be placed at the bottom and top of cartons containing breakables. Smaller cartons should be used for crocker to avoid having cartons which are too heavy to handle. Label all cartons containing fragile items. Avoid storing heavy items on top of fragile items. Stand plates, saucers, platters, nest cups and bowls, and place casserole dishes on their edge. Fill any gaps with packing such as scrunched up paper or linen. Protect glass, mirrors, screens and paintings with packing material such as bubble wrap or in a flat pack carton – store these items upright, standing on their edge, do not lay them flat. Keep wardrobes, cupboards and drawers empty to protect shelving and structure of the furniture. Use drop sheets or similar covers to help protect your furniture. A moisture absorbent product can be placed within the storage shed to help protect against damp or mould. Pack clothing and personal goods s in strong secure cartons with mothballs, naphthalene, lavender or similar repellent product to help protect your goods. Remove legs from tables, beds etc where possible, to save space and avoid damage. Thoroughly dry and clean white goods before storing. Doors should be secured slightly ajar to maintain freshness on fridge and freezers with a deodoriser placed inside. Do not place items inside white goods as the shelves or linings can be easily marked or damaged. Please do not store food in fridges and freezers. As with all fragile items, computers need special care. If possible, use original boxes, otherwise, wrap items in bubble wrap and pack them in good quality cartons. Make a back up of your hard drive and store back-ups offsite. Remove batteries from electronics to avoid damage from the possibility of leaking batteries. Store vehicles with minimal fuel & disconnect the battery. 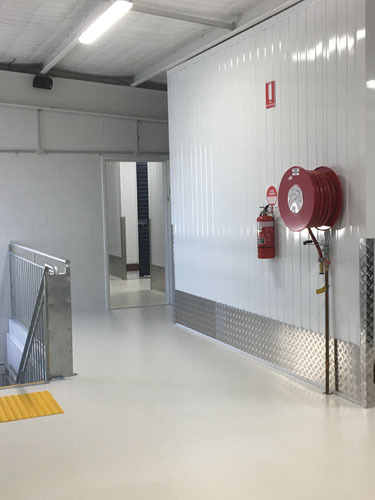 Drain fuel and oil from machinery to reduce the risk of leakage, spillage and damage to other items in your storage space – fuel & oil is also a fire hazard. Wipe chrome or cast iron with a small amount of machine oil to minimise rust. To help reduce tarnishing, wrap silver in non-acidic tissue paper. Gasoline, propane tanks, oxygen tanks, kerosene, motor oil, corrosive acids, fertilizer, paint, toxic/biological waste, fireworks, ammunition etc. For more details, for please contact us. 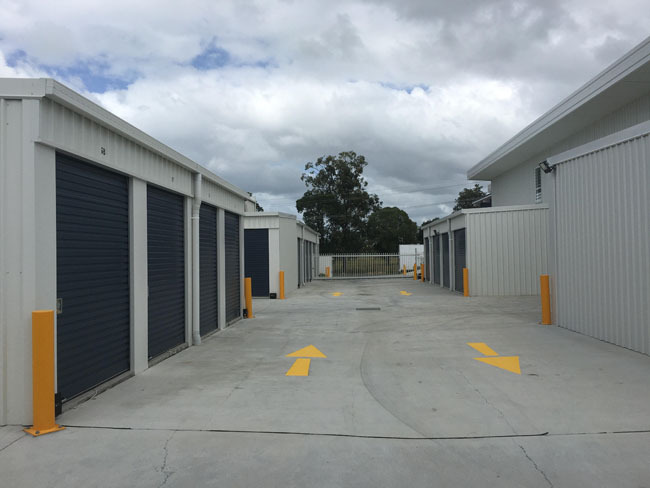 We know how important your stored items are to you. The security of your belongings is vital to us, so we have CCTV cameras strategically positioned so the premises are monitored 24 hours a day, 7 days a week..